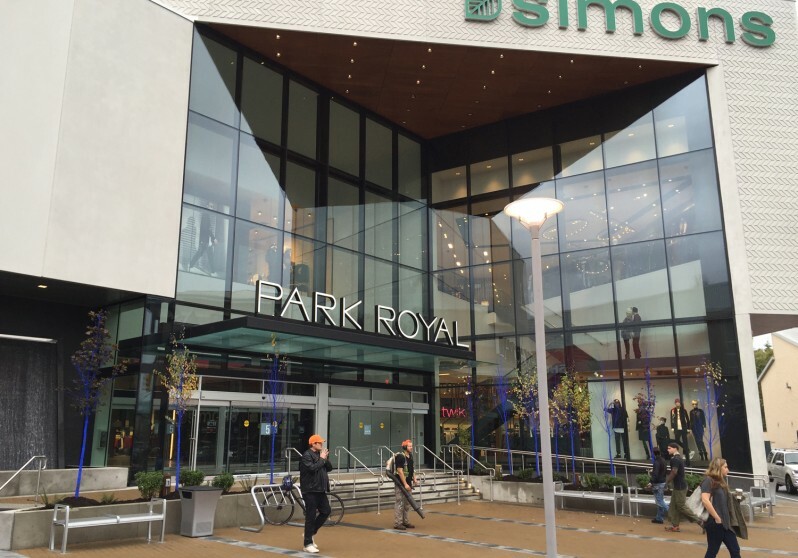 Location: Simons department store at Park Royal Shopping Centre in West Vancouver, British Columbia. 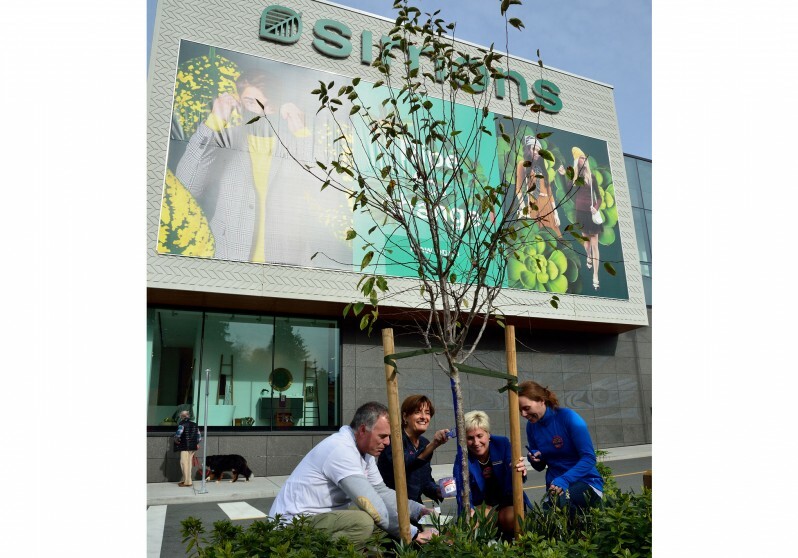 The 81 large Royal Red Maple and Ash trees were planted around the Simons Store and Park Royal Shopping Centre from October 2015 – January 2016. 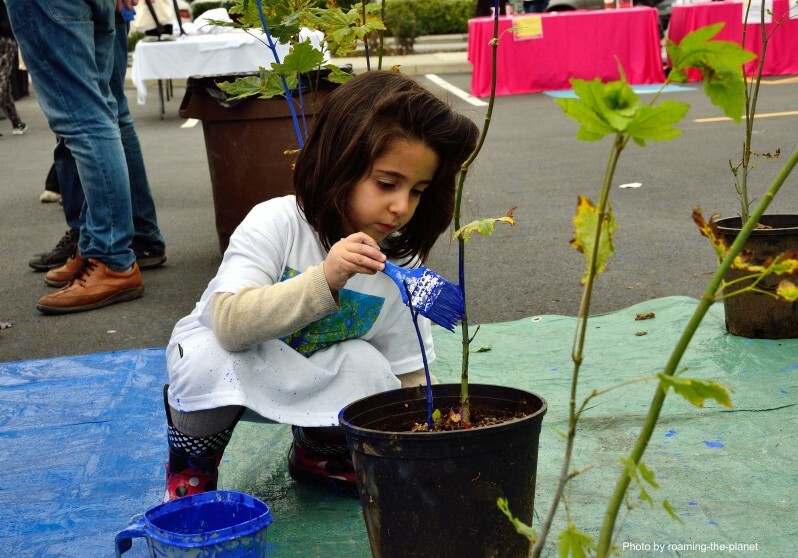 The 175 potted Vine Maple trees were gifted to the community, participants and volunteers on October 24, 2015. 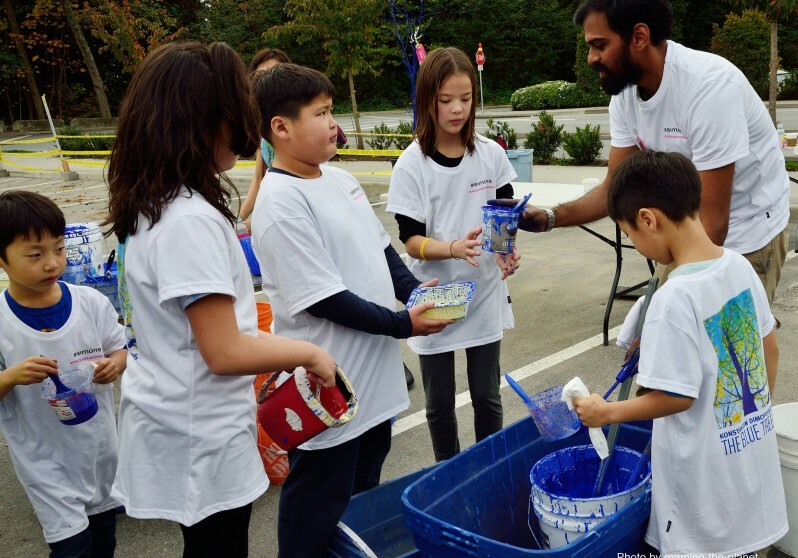 The 81 large trees have been distributed to families across Metro Vancouver and also to 11 schools in the Richmond School District where they will be planted and used as part of the BIG IDEAS learning curriculum. 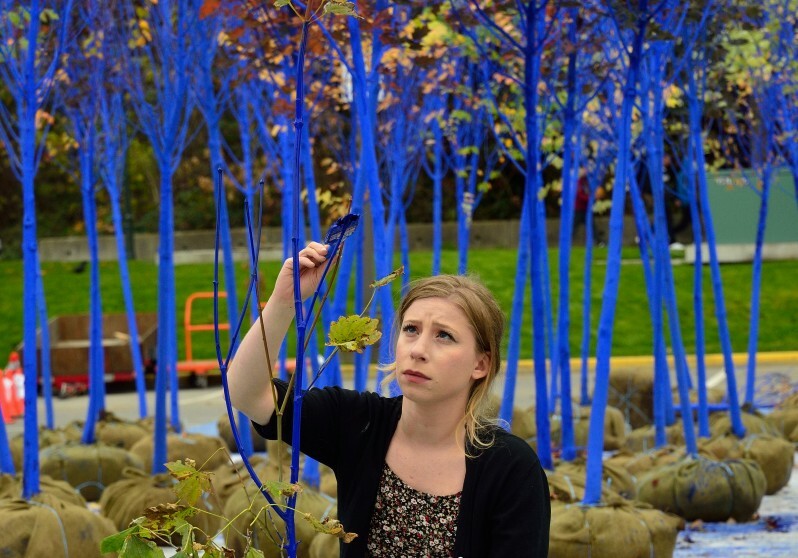 The Blue Trees is a Vancouver Biennale initiative launched during the 2009 – 2011 exhibition that has gone on to become an international award-winning public-art installation created in over 14 cities across the world. This art installation brings environmental consciousness and social action together through community participation. Pigmenting trees blue, a color not naturally associated with trees, temporarily transforms a familiar urban landscape. Trees are largely invisible in our daily lives, and the blue color is a means of altering perception, a powerful stimulant used to raise social consciousness about the role of trees as the lungs of the world. 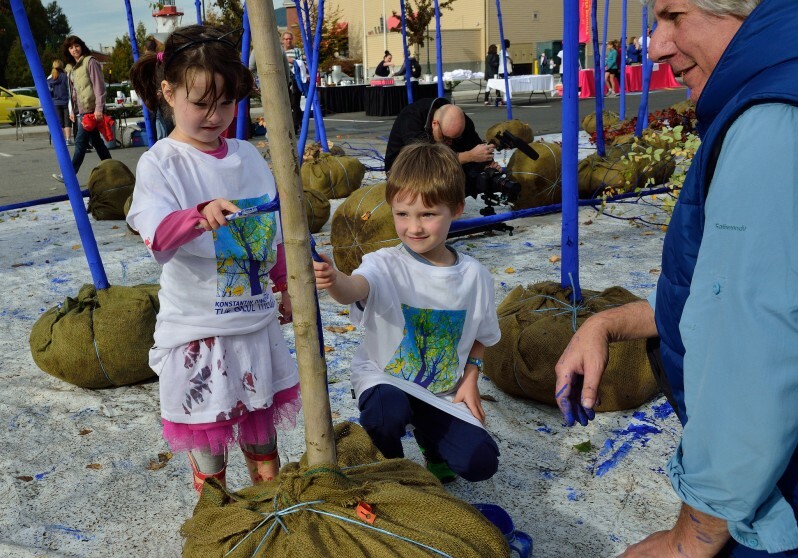 On Saturday, October 24, 2015, over 350 participants, volunteers, and community members participated in The Blue Trees installation at Simons department store at Park Royal Shopping Centre in West Vancouver, British Columbia. This environmental art project inspired another artwork, an orchestral piece entitled Biennale Snapshots – A Composition In 5 Movements by Vivian Fung. The Blue Trees project was selected as a finalist from the 1,022 entries for the Danish Index Design Awards, the largest design award in the world, in 2013. Konstantin Dimopoulos was the winner of the artist category for the Climate Week Awards: 2014. 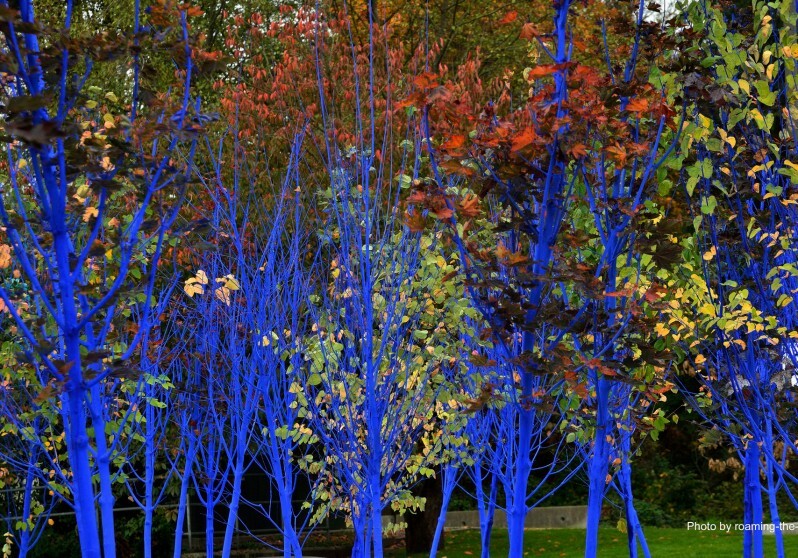 The Blue Trees was named as one of the Top 100 Activism Trends of 2012 for ideas that change the world.